Whether you seek complete solar protection, a sunless golden tan or after-sun repair. Ligne Soleil specifically caters to your needs. Enriched with Vitamins E, C & B Complexe, Green Tea, Squalane, Hyaluronic Acid, Aloe, and Water Lily Extract, it provides your skin effective defense by protecting, hydrating, cooling and repairing. Multi-functional, this silky-smooth, greaseless homogenized emulsion protects your skin from the sun¹s harmful UVA & UVB rays. Apply the hydrating SPF 30 Sunscreen (enriched with Vitamins E, C and B) daily to completely safeguard your skin, counteract sun damage and prevent premature aging for face and body. Relieve painful sunburn discomfort and immediately decrease your skin¹s temperature with this cooling and refreshing emulsion. 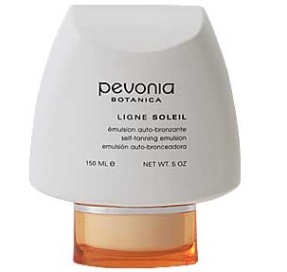 A potent compound of Proline and Water Lily extract, combine to soothe and desensitize and alleviate sun-sensitive skin. Reveal a natural golden tan without the harmful effects of the sun. This self-tanning light-textured emulsion combines natural color (Caramel), with DHA (Sugar Cane), Squalane, and Vitamins B and E, to promote immediate absorption for a smooth, streak-free application. The result is a flawless, perfect tan that everyone will envy. 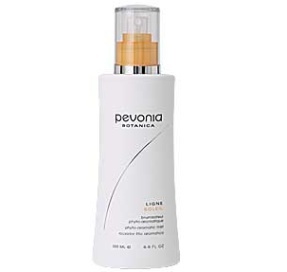 Spritz this replenishing aromatic mist any time during or after-sun exposure to refresh and rehydrate your skin. A delightful blend of Chamomile, Calendula and French Rose, balance and restore your skin¹s natural moisture.